As we’ve been noticing, there’s a lot of transition going on in the location app environment. Developers are trying to pinpoint how much is too much sharing, and when exactly we want to broadcast our physical locations. They’re also trying to enable users to track and mark what they do and where seamlessly, in a more natural, real-time sense. And as you’d expect, the attempts are fraught with problems. Privacy is only one of those issues; logistics and user experience have proven to have their own set of unique difficulties. Despite any and all of this, one more app is going to take on location. 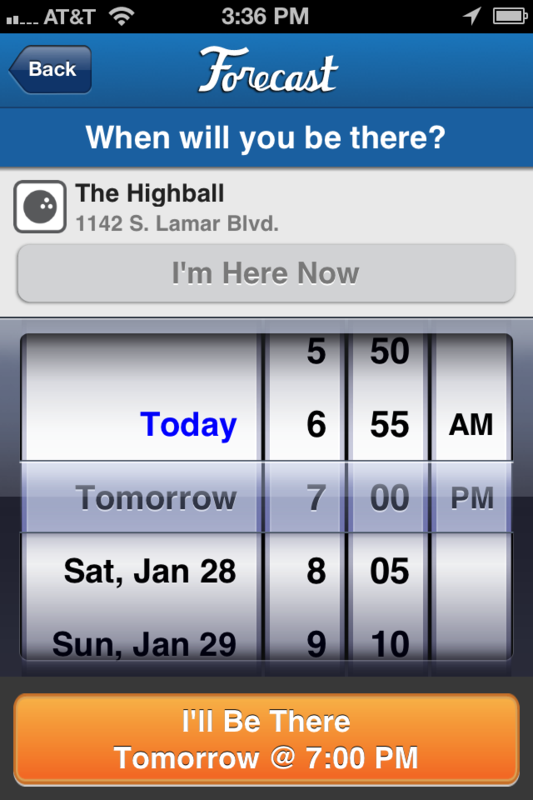 Foresight is launching the next iteration of its app with Foresight 2.0. There are a few big changes the app, the most significant arguably being its integration with Timeline. It’s own web access to the app shouldn’t go unnoticed though. If you haven’t heard of Forecast, you can start with the fact that creator René Pinnell sees it as “Timeline for the future.” The app’s model is fairly simple: you create a Forecast, something you plan on doing and where – i.e., happy hour at a local bar. You send the Forecast out (it’s linked with Foursquare), and then a future check in of what you plan on doing is created. Users are able to push updates to their phone’s notifications so they have a running schedule or what their friends are doing and where and when. Pinnell says Forecasts have a very high conversion rate – about 80-percent. Of course that’s relative to the user number, but that number has been growing. 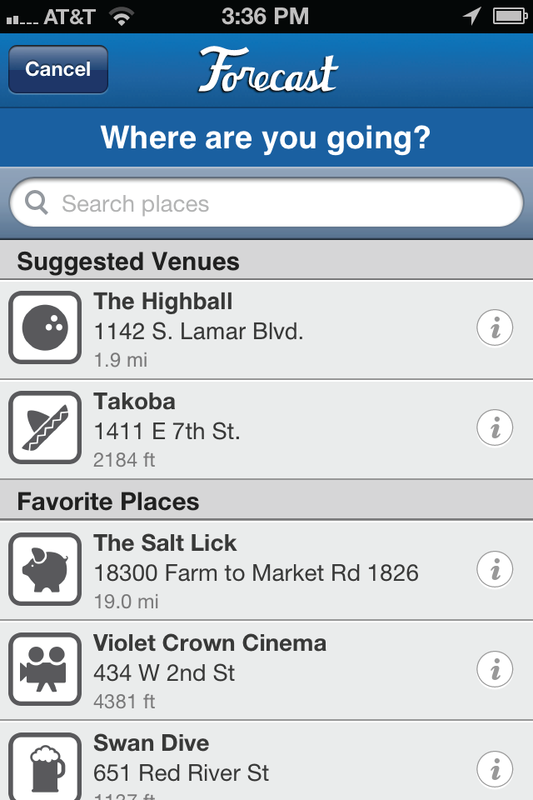 It seems like there’s a continuum of sorts here: apps like Highlight leave too much to chance, Foursquare too little. Forecast is trying to find the sweet spot between them. Forecast’s Facebook integration means you can plan and create Forecasts through the social network, and they will be recorded to your personal Timeline as well.